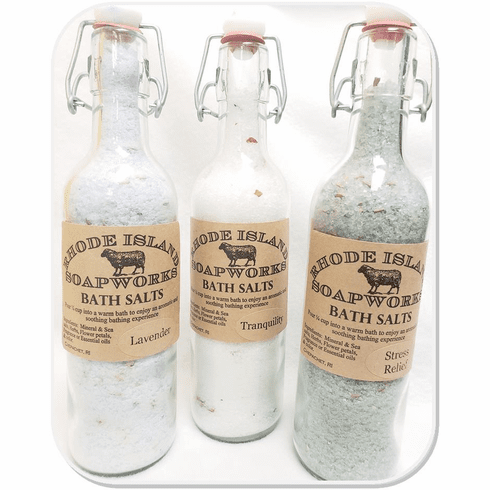 Luxurious Rhode Island Soapworks bath salts! Fabulous for when you need a relaxing night alone! Simply pour 1/4 cup into a warm bath to enjoy an aromatic and soothing bathing experience. 375 ml bottle.